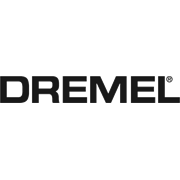 The Dremel 930 is a dual-temperature glue gun. 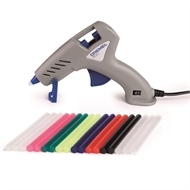 Perfect for decorating both conventional and heat sensitive materials. The included transparent and coloured glue sticks provide you a fully creative crafting experience. From light gluing jobs to ornament sculpting, precise decorating of jars to mould making and embossing. Included colour sticks allow you to go far beyond from simple gluing and lets you get creative in decoration, ornament making, jewellery design and more. Apply glue on various materials disregarding the heat-sensibility thanks to dual temperature setting combined with high and low temperature glue sticks. Drip control prevents dripping glue onto the project supported with precision tip for intricate gluing. The T-handle allows optimal tool balance for easy and comfortable operation. 2 years with proof of purchase.